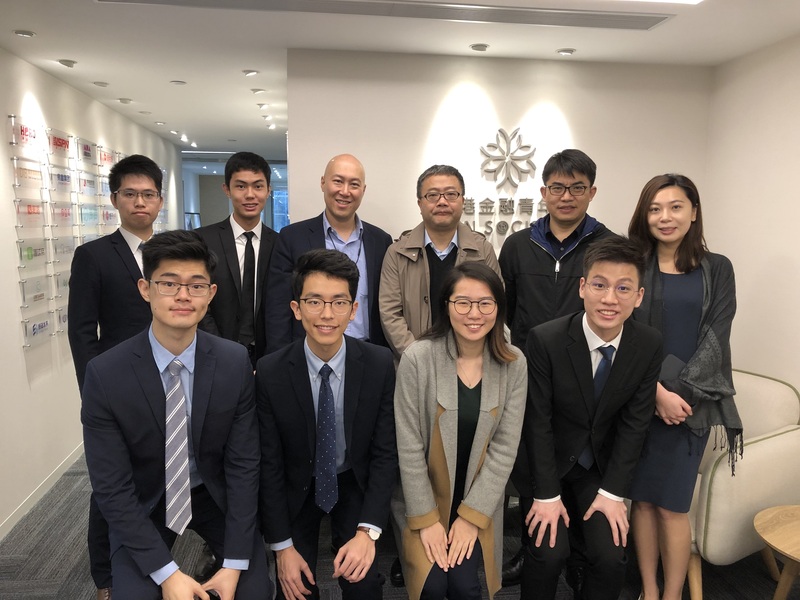 Established in 2013, Fin Society is a non-profit organization founded by Mr. Shannon Cheung and a group of professionals with the objective of strengthening the competitiveness of finance practitioners in Hong Kong. We also aim at nurturing the next generation of finance industry leaders by getting local youths better equipped when they enter the ever changing and competitive world of finance. From 2015 to 2018, through close cooperation with All-China Financial Youth Federation, Fin Society had sponsored 200 Hong Kong students to complete an internship program in Beijing at CITIC Securities, China Securities Co. Ltd., China CITIC Bank, CITIC Trust Co., Ltd., China Investment Co., China Development Bank Capital Co. Ltd., Silk Road Fund Co., Ltd., China Reinsurance (Group) Corporation, China Jianyin Investment Co., Ltd., China Galaxy Securities Co. Ltd., Shenwan Hongyuan Group Co. Ltd., China International Capital Corporation, and Zhejiang Ant Small and Micro Financial Services Group Co. Ltd.
Building on our strong momentum, we expand our internship program to Shenzhen in 2018, offering Hong Kong students with the opportunity to work for top FinTech institutions in Shenzhen. The institutions are CITIC Group Corporation Ltd., China Investment Securities Co., Ltd., China Merchants Bank Co., Ltd., Pingan Technology (Shenzhen) Co., Ltd., LexinFintech Holdings Ltd., WeBank Co., Ltd., Tenpay Payment Technology Co., Ltd., and Zhejiang Ant Small and Micro Financial Services Group Co. Ltd. In addition, we have organized other internship programs like Hong Kong Students in Beijing Mentorship Program and Cross-border Study Tour for Post-secondary Financial Talents with the intention of helping students become better prepared for their future careers. Fin Society also hosts regular events and activities aiming to help our affiliates broaden their connections and vision in the finance industry, get up to speed with latest market trends and developments, and actively explore new career and business opportunities in the global financial markets. We pledge to promote in any way we can and assist in enhancing Hong Kong’s position as a leading global financial centre and its overall competitiveness. Fin Society is dedicated to promoting collaboration amongst finance professionals in Hong Kong and beyond, as well as suggesting policies that are beneficial to the long-term development of Hong Kong’s finance industry and its practitioners.